Icariin, Acute ischemic stroke, SDF-1, CXCR-4, Neurological function protection, Effects mechanism. Stroke is also cerebrovascular accident, which is a kind of nervous system disease with cerebral artery stenosis, obstruction and ruptures, also have characteristics of high incidence rate and high death rate [1,2]. Investigations show  the incidence rate and death rate of stroke in European and America countries place first rank in the world. Data show  that one in every nineteen people who have stroke. Incidence rate of stroke increases with the development of economy and population aging. In classification of stroke, ischemic stroke accounting for 80% in main incidence rate, which shows the study for ischemic is vital . There are lots of studies which show [6-8] that occurrence and development of ischemic stroke is a process which relates to multiple pathological and physiological effects, the occurrence mechanism is still unclear completely. At present, clinical treatment mainly include vascular methods and cell methods. Vascular methods  mainly include thrombolysis, angiectasis and antiplatelet aggregation, but there are many adverse reactions, so there are many restricts on its clinical applications. Cell methods  are to block by neurological protection, but its selection of neuroprotective agents are stumbling block for inhibiting its promotion. Therefore, exploration of ischemic stroke has important meaning. Stromalcell-Derived Factor-1 (SDF-1) is a kind of multiple subtypes small-inducible protein and secreted by matrix cell constantly. CXC Chemokine Receptor 4 (CXCR4) is only receptor of SDF-1 . After combination of specificity of those two, this can cause changes of CXCR4 spatial conformation, making its secretion become abnormal. Therefore, different expressions of SDF-1 and CXCR4 during the process of neuronal differentiation can lead to neuron migration and neuronal circuit after cerebral tissue injury, so which play important effect on injured cerebral tissue recovery after cerebral infarction . In recent years, with constant development and study of Chinese herbal medicines in our country, multiple target point of Chinese herbal medicines highlight advantages itself. Therefore, Chinese herbs in treating ischemic stroke have significant meaning. Epimedium herb also can be called Herba Epimedii, is Berberidaceae epimedium L plant with nature of pungent, sweet and warm, which distribute to liver and kidney meridian and has functions of replenishing kidney-yang, strengthening bone and muscles, removing wind-dampness. It can be used to treat impotence, nocturnal emission, flaccid muscle and joint, rheumatic arthralgia, numbness and spasm, hypertension in menopause. Modern pharmacology study [13-15] show that Epimedium herb has functions of increasing cardiovascular circulation, promoting hematopoietic function, immunologic function and bone metabolism, anti-aging and anti-tumor. Icariin as one of pharmacological effective component in epimedium herb, which has inhibition and protection effects for resisting ischemic stroke. But there is no direct evidence for treating acute ischemic stroke by epimedium herb . Therefore, this study tries to build rats ischemic stroke model through suture-occluded method which caused by Middle Cerebral Artery Occlusion (MCAO), observe icariin protection for this model. The test method is as follows: the water maze test is adopted to select eligible rate, which are fasted for 8 h before modeling and anaesthetized and abdominally injected with 10% chloral hydrate (35 mg/kg). Cut hairs in front of the neck, sterilize the side and medisect the skin, insensitively separate subcutaneous tissue, dissociate left internal carotid artery, cut a 0.12-0.14 cm (dia.) incision at the place where the left internal carotid artery is about 0.5 cm far from the nearly heart end, insert a 40 mm-long fishing stringer into the internal carotid artery for about 17-20 mm to pass the middle cerebral artery until arterial bleeding, fix the stringer onto the common carotid artery, ligate the nearly heart end, then sew the skin layer by layer, and reserve a bit of the end string at the incision sewing place for future re-perfusion. After MCAO modeling, carry out perfusion after 2 h, saying ischemic infarct has been completed in the range of middle cerebral artery, and then make the model again. With reference to Longa assessment method, modeling assessment should be carried out in 2 h after the animal revives. After it is assessed that modeling is successful, the rate can be used for next experiments; if it is assessed that modeling is unsuccessful, failure cause should be analysed and modeling remade again. Based on this, this study is to explore mechanism of its neurological function, which can provide pharmacology basis for studying effects of icariin on ischemic stroke in the future. Clean grade male SD rats with 270 ± 20 g were provided by Animal Center of The Military Medical University. Certificate number: SCXK (Yu) 2007-0005. There were 4 rats in each cage. Rats eat and drink water by themselves. Backing was changed and rat cage cleaned regularly. They were raised for 7 d. The process of experiment follows animal management and protection principles. TGL18M desk type high speed refrigerated centrifuge bought from Kaite experiment instrument limited company in Yancheng. BM-37XB inverted biological microscope from Biaimu optical instrument making limited company in Shanghai. BP 211D precision electronic balance from Sartorius company in German. Pure water from Dimeire electrical installation in Shanghai. XH-C from Hua cheng Runhua experiment instrument factory in Jintan. Manual single channel pipettes from Lingchu environmental instrument limited company in Shanghai. The experiment was approved by the hospital ethics committee. This study selected clean grade male 40 rats to stay in experimental laboratory for one week. 30 MCAO of rats were selected randomly. Another 10 rats belonged to N group and used for building this model. Common carotid artery and external carotid artery were given vascular separation, exposure management only, not ligation and intraluminal suture insertion. 30 rats in preparation MCAO model group were randomly divided into three groups, namely low dosage group (T1 group, 10 rats), high dosage group (T2 group, 10 rats) and M group (10 rats). Normal diet rats for 24 h after model build were given intragastric administration, of which, M group and sham group given intragastric NS. Rats in low dosage and high dosage group given 30 mg/kg and 60 mg/kg separately once one day for 14 d. They were cut off, and then sudden death occurred. Before and after model build, we should pay attention to heat preservation, normal diet and give sterile operation during whole process of surgery. 3 rats were selected from M group, N group, T2 and T1 and given NSS. Rats in each group were given evaluation in 2 h, 1 d, 7 d and 14 d after surgery and given selection according to evaluation results. Evaluation scores as table 1. Rats scores below 4 were excluded from study of this group. Table 1. Bederson 5 score points. Abstraction of total RNA in tissue: Injury part and cerebral tissue of lateral ventricles of rats were selected, and given refrigeration under liquid nitrogen condition. Total RNA abstracted by using TRizol methods. Reverse transcription of cDNA: cDNA compound agents were selected below sub-eighty degree celsius, thawed, 1ml RNA were abstracted, which formed cDNA by transcription. Then it had reaction according to reaction system of Table 2. Prepared cDNA was given PCR amplification. Its PCR premier sequence and amplification sequence seen in Tables 3 and 4. DNA polymerization was detected by Real-time detection instrument after amplification, its reaction condition seen in Table 5. After 40 circles, they stopped automatically, then read template internal gene directly. Table 3. PCR primer sequence. Table 5. DNA polymerization reaction conditions. All data in experiment were input into Excel form to do statistics, used SPSS 17.0 software package to do analysis. Data was represented by x̄ ± s. This study used single factor variance analysis and LSD method to do variance analysis between two groups. P<0.05, there were statistical differences. Whole cerebral region of sham operation group were color, which showed there were no infarction region; Left cerebral hemisphere of rats in high, low dosage group, model control group were white. White region was blood supply area of middle cerebral artery, which showed MCAO model was stable, reliable in this experiment (Figure 1). (A was model control group; B1 was high dosage group’ B2 was low dosage group; C was sham operation group). Figure 1: Four TTC staining figure. Neurological function impairment in model control group in 1 d after surgery reached to the extreme value, and then decreased gradually. The reason might relate with self-healing capability of rats itself. Neurological function scores in high dosage group compared with the model control group, there were statistical differences (P<0.05), compared with low dosage group, there were statistical differences (P<0.05, Table 6). This study selected low dosage group and control group to do next gene detection comparison according to this experiment results. Table 6. Four groups of nerve function score results compare Rats (x̄ ± s). From gene detection results of model control group and low dosage group we can see that, SDF-1 and CXCR-4 gene in low dosage group in 7 d were higher than model control group, there were statistical differences (P<0.05), in 14 d, compared SDF-1 and CXCR-4 gene in two groups, we can know, gene amount of low two groups higher than the control group, and there were significant statistical differences in CXCR-4 (P<0.05), comparison differences of SDF-1 gene was significant greatly (P<0.01), gene amount of high two groups higher than the control group, and there were significant statistical differences in CXCR-4 (P<0.05), comparison differences of SDF-1 gene was significant greatly (P<0.01, Table 7). Table 7. Two groups of rats SDF-1/CXCR-4 gene amount detection result of the comparison (x̄ ± s). In recent years, incidence rate of ischemic stroke increases constantly. Therefore, ischemic stroke has become important project at home and abroad . In the level of study for it, physiological and pathological mechanism of ischemic stroke is important research orientation of this field . There are clinical results show that , the main pathogenesis of ischemic stroke is focal embolism of cerebral artery. Thread occlusion is the most common method at present. Its prepared MCAO model is close to clinical conditions, so this study selects this method to prepare acute ischemic rats model. In addition, in selection of rats model, SD rats have low variability comparing with vessels of Wstar rats, which more stable after model build. At the same time, female hormone can protect blood and vascular protective screen of rats, interfere results of this test, so this study select SD male rats to do test. SDF-1 is a kind of sub-type small-inducible protein, which belongs to CXC chemokine family. But it compares with other sub-types, SDF-1 expression is wider and its function is subtle. From present study [20-24], CXCR4 and CXCR7 are the most two important receptors, and the specificity of CXCR4 is more strong, so which application on cell proliferation, migration and differentiation are more wide. But it combines with SDF-1 and CXCR4 specificity, its function can affect immune cells, brain, heart, kidney, liver, lung, growth of immune system, circulation system and central nervous system, which have relations with HIV infection and migration. Therefore, the study of SDF-1 and CXCR-4 on physiological and pathological mechanism is relatively important [25,26]. Modern pharmacology show that  ischemic stroke can cause neurological function disorder and its injury part will cause ischemia of periphery, so protection of vessels in neurological impairment part can relieve its injury to a certain extent, therefore, neurological function impairment is study hot topic at home and aboard in recent years. Now, study of cerebral injury mechanism under anoxia of SDF-1 and CXCR4 gain increasing attention. Through combination of SDF-1 and CXCR4, forming signal axis of those two, which play important role in the process of growth and development of biology . Furthermore, this signal axis can regulate endogenous tissue in ischemic cerebral vessels prevention, and then has recovery effects. In addition, SDF-1/CXCR4 signal axis can regulate and control migration of neurological progenitor cell in the process of cerebral injury, so helping restore injury cerebral tissue [29-31]. This study focuses on study hot topic of function mechanism, explores the influences of icariin on two genes of SDF-1 and its receptor CXCR-4, mechanism of neurological vascular protection, which is also one of innovation in this study. This experiment also has disadvantages. Detection of effective concentration still not reach to our ideal state because of limited experiment conditions and inadequate samples of animal model, at the same time, Yang-qi of rats are inadequate. This study has function of starting a discussion, which can lay a foundation for epimedium herb and vascular protection. Li Z, Cheung FS, Zheng J. Interaction of the bioactive flavonol, icariin, with the essential human solute carrier transporters. J Biochem Mol Toxicol 2014; 28: 91-97. Coenye T, Brackman G, Rigole P. Eradication of Propionibacterium acnes biofilms by plant extracts and putative identification of icariin, resveratrol and salidroside as active compounds. Phytomed Int J Phytother Phytopharmacol 2012; 19: 409-412. Shun-Jun XU, Zhu YL, Jie-Jing YU. Pharmacokinetics of epimedin A-C and icariin of Chuankezhi injection in rat. China J Chinese Materia Medica 2016. Zhang X, Liu T, Huang Y. Icariin: does it have an osteoinductive potential for bone tissue engineering? Phytother Res 2014; 28: 498-509. Sun J, He W, Bai SZ. The expression of calcium-sensing receptor in mouse embryonic stem cells (mESCs) and its influence on differentiation of mESC into cardiomyocytes. Differ Res Biol Divers 2013; 85: 32-40. Liao Y, Guan L, Chen J. Analysis on application of single drug in treating 77 acute ischemic cerebral apoplexy cases. Strait Pharm J 2016; 200-201. Niu XJ, Jing LU, Duan XY. Quality evaluation of flavonoids in Herba Epimedii based on cluster analysis. China J Trad Chinese Med Pharm 2016. Li B, Duan X, Xu C. Icariin attenuates glucocorticoid insensitivity mediated by repeated psychosocial stress on an ovalbumin-induced murine model of asthma. Int Immunopharmacol 2014; 19: 381-390. Schluesener JK, Schluesener H. Plant polyphenols in the treatment of age-associated diseases: revealing the pleiotropic effects of icariin by network analysis. Mol Nutr Food Res 2014; 58: 49-60. Su ZF, Zhu XY, Dong ZX. Neurological protection and mechanism of hyperbaric oxygen in treating ischemic stroke. Chinese J Naut Med Hyperbaric Med 2010; 17: 121-124. 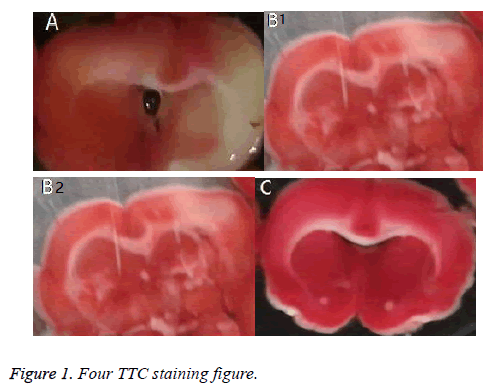 Tao F, Qian C, Guo W. Inhibition of Th1/Th17 responses via suppression of STAT1 and STAT3 activation contributes to the amelioration of murine experimental colitis by a natural flavonoid glucoside icariin. Biochem Pharmacol 2013; 85: 798-807. Yang L, Lu D, Guo J. Icariin from Epimedium brevicornum Maxim promotes the biosynthesis of estrogen by aromatase (CYP19). J Ethnopharmacol 2013; 145: 715-721. Liang W, Lin M, Li X. Icariin promotes bone formation via the BMP-2/Smad4 signal transduction pathway in the hFOB 1.19 human osteoblastic cell line. Int J Mol Med 2012; 30: 889-895. Zhang DC, Liu JL, Ding YB. Icariin potentiates the antitumor activity of gemcitabine in gallbladder cancer by suppressing NF-kappaB. Acta pharmacologica Sinica 2013; 34: 301-308. Wu Z, Li Y, Li Z. Effect of edaravone in treading acute ischemic cerebral apoplexy patients and its influence on hemorheology. J Clin Med Pract 2017; 21: 154-155. Cunha PRD, Silva JDS, Benet A. Management of early intraoperative superficial temporal artery to middle cerebral artery bypass occlusion in a moyamoya patient: 3-dimensional operative video. J Artery Bypass Occlusion Moyamoya 2013; 115: 1238-1244. Huang YC, Hu CJ, Lee TH. The impact factors on the cost and length of stay among acute ischemic stroke. J Stroke Cerebrovasc Dis Off J Nat Stroke Assoc 2013; 22: 152-158. Huisa BN, Neil WP, Schrader R. Clinical use of computed tomographic perfusion for the diagnosis and prediction of lesion growth in acute ischemic stroke. J Stroke Cerebrovasc Dis Off J Nat Stroke Assoc 2014; 23: 114-122. Li Q. Observation for curative effects of urinary kallidinogenase for injection in treading acute ischemic cerebral apoplexy. Chinese J Pract Nerv Dis 2017; 20: 115-116. Chakraborty B, Vishnoi G, Goswami B. Lipoprotein (a), ferritin, and albumin in acute phase reaction predict severity and mortality of acute ischemic stroke in North Indian Patients. J Stroke Cerebrovasc Dis Off J Nat Stroke Assoc 2013; 22: 159-167. Douds GL, Hellkamp AS, Olson DM. Venous thromboembolism in the get with the guidelines-stroke acute ischemic stroke population: incidence and patterns of prophylaxis. J Stroke Cerebrovasc Dis off J Nat Stroke Assoc 2014; 23: 123-129. Siegler JE, Boehme AK, Kumar AD. Identification of modifiable and nonmodifiable risk factors for neurologic deterioration after acute ischemic stroke. J Stroke Cerebrovasc Dis off J Nat Stroke Assoc 2013; 22: 207-213. Zhang L, Li D. Effect of argatroban+brain protective agentin in the treatment of acute ischemic stroke. Chinese J Med Guide 2017; 19: 586-587. Kidwell CS, Wintermark M, De Silva DA. Multiparametric MRI and CT models of infarct core and favorable penumbral imaging patterns in acute ischemic stroke. Stroke J Cerebr Circ 2013; 44: 73-79. Switzer JA, Demaerschalk BM, Xie J. Cost-effectiveness of hub-and-spoke telestroke networks for the management of acute ischemic stroke from the hospitals perspectives. Circ Cardiovasc Qual Outcomes 2013; 6: 18-26. Cai M, Li G, Tao K. Maohuoside A acts in a BMP-dependent manner during osteogenesis. Phytother Res 2013; 27: 1179-1184. Ding Z, Wang Q, Zhou P. Study on joint effect and mechanism of monosialoteterahexosyl ganglioside and ginkgo biloba extract injection for nerve functions of acute ischemic cerebral infarction patients. Chinese J Integr Trad West Med Intens Crit Care 2017; 24: 158-161. Huang ZS, Xiao HJ, Qi T. Antioxidative protective effect of icariin on the FeSO4/H 2O 2-damaged human sperm based on confocal raman micro-spectroscopy. J Huazhong Univ Sci Technol Med Sci 2014; 34: 755-760. Yang CR, Chen JD. Preparation and biological evaluation of chitosan-collagen-icariin composite scaffolds for neuronal regeneration. Neurol Sci Italian Neurol Soc Italian Soc Clin Neurophysiol 2013; 34: 941-947. Wang F, Liu Z, Lin S. Icariin enhances the healing of rapid palatal expansion induced root resorption in rats. Phytomed Int J Phytother Phytopharmacol 2012; 19: 1035-1041. Wei Y, Li P, Fan H. Metabolite profiling of four major flavonoids of Herba Epimedii in Zebrafish. Molecules 2012; 17: 420-432.